Developed with Stephen Pelton Dance Theater this play for dancers tells the story of three people in the aftermath of a friends sudden death. Told through text, movement, and music Tuesday looks at the sudden shifts, both large and small, that occur when the daily becomes foreign, the routine perilous, as loss collides with longing. 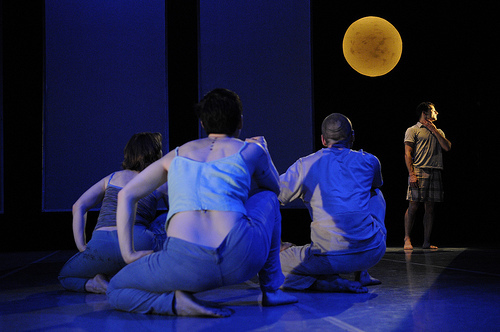 Tuesday premiered at Dance Mission in 2006 and was remounted in 2008. ​Here's a video of the opening of Tuesday.